To attain the RYA/MCA Yachtmaster Offshore candidates must pass a practical examination of their skippering ability. A Yachtmaster is capable of skippering the yacht on extended offshore passages by day or night. He or she will essentially be a much more experienced Coastal Skipper and can do the same things more smoothly, for longer periods and in more arduous conditions. The instructor will tailor the course to your specific needs having first assessed your areas of strengths and weaknesses, however our experience leads us to emphasize the following subjects: passage planning, man overboard recovery, close quarters handling, skippering techniques, navigation in restricted visibility, pilotage and knowledge of the International Collision Regulations. Before joining the course, students should have the pre-requisite experience outlined above, navigation theory to RYA Coastal Skipper/Yachtmaster theory level and a thorough knowledge of the Collision Regulations. The examiner will ask each candidate to skipper the motor yacht on several short passages and complete various demonstrations of their skippering and boat handling over the course of the weekend. 0900 on first day until completion of all exams on day 5. Breakfast and lunch, wet weather gear and accommodation onboard. For details of what you should bring please refer to the FAQ's section. Duration: 5/6 Days with a maximum of 3 students per boat. Comprises of 4 days preparation and 1 day exam. 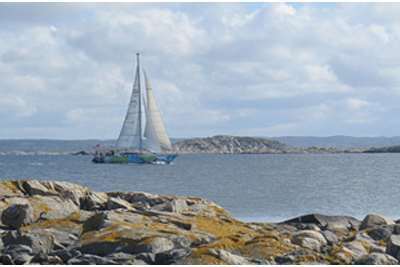 Previous Experience Required: 50 days aboard, 5 days as skipper, 2500 miles logged, 5 passages of over 60 miles including 2 overnight and 2 as skipper (Half the qualifying seatime must have been conducted in tidal waters). SRC/VHF radio operators certificate and a valid first aid certificate, check to see which certificates are accepted here and which ones are not here. Course Overview: Preparation and brush up for the RYA/MCA Yachtmaster Offshore Certificate of Competence. 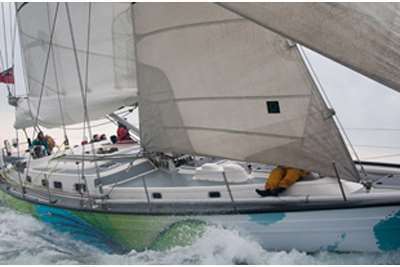 Revision of advanced skippering techniques, close quarters handling under power and sail, navigation and pilotage by day and night, man overboard recovery and overall yacht management skills.